Orthodox Jewish Borough Park Shomrim vigilante Alex “Shaya” Lichtenstein Bribed NYPD for impossible to get gun permits. allegedly. NEW YORK (CBSNewYork) – A Brooklyn man was arrested and arraigned Monday in connection to the FBI probe into the NYPD. As CBS2 Political Reporter Marcia Kramer reported, Alex “Shaya” Lichtenstein, formerly of Borough Park and now of Rockland County, was accused of running a thriving business selling NYPD gun permits. He allegedly conspired for years to bribe police officers to obtain gun licenses from the NYPD and sell them to people in his Brooklyn community. Lichtenstein allegedly said he had gotten more than 150 gun licenses through his license division connections, according to a criminal complaint. Lichtenstein appeared in court Monday afternoon accompanied by friends and family, including his wife and three sons, CBS2’s Valerie Castro reported. A judge ordered a $500,000 bond, which Lichtenstein posted. Upon walking out of court after posting bond, Lichtenstein refused to speak to reporters. He lit a cigarette and said: “Where’s the car? Where’s the car?” Kramer reported. Lichtenstein will be restricted to travel in the southern and eastern portions of New York state and in New Jersey, where one of his sons lives. If convicted, he could spend 10 years behind bars. 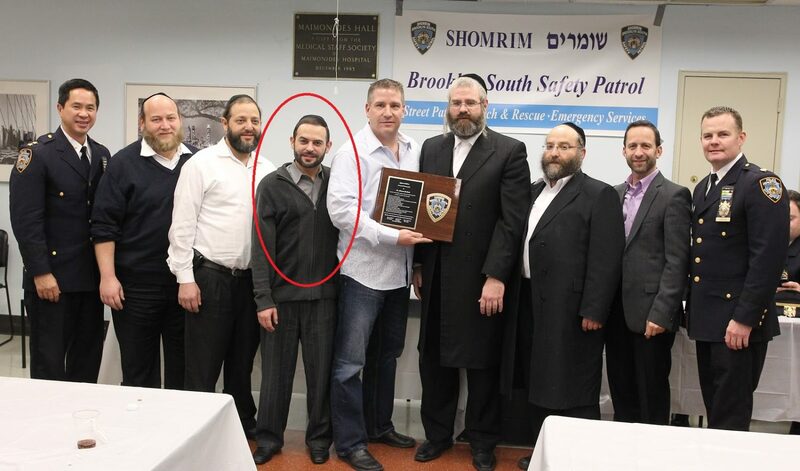 According to the complaint, Lichtenstein was a member of the Borough Park Shomrim, a volunteer Orthodox Jewish patrol. Lichtenstein allegedly offered officers $6,000 per gun license without doing background checks, according to the complaint. He then allegedly sold the licenses for $18,000. The complaint said Lichtenstein was nabbed after he went to an unidentified member of the NYPD he had not dealt with before, and offered cash for permits. That officer went right to internal affairs. When he met the officer, according to court papers, Lichtenstein said he would be more comfortable if the officer was in his underwear. But he settled for a pat-down and did not find a wire, WCBS 880’s Alex Silverman reported. But authorities said Lichtenstein was caught in the act by an officer who was wearing a wire. “I want to repeat myself, I’m not bribing you,” Lichtenstein allegedly told the officer. In addition to the arrest, three NYPD officers who were part of the division that processes gun licenses, faced administrative charges related to the widening probe. Deputy Inspector Michael Endall was transferred from the license division and is being reassigned to an administrative position pending further review, the NYPD said. Sgt. David Villanueva and Police Officer Richard Ochetal were placed on modified assignment and transferred. They also worked in the license division. Lichtenstein reportedly bragged that he had used his NYPD connections in the past to obtain gun licenses. In a recorded meeting, he allegedly said his customers needed guns and would have been rejected for “the biggest stupidity,” such as a history of moving violations. Files from the NYPD Firearms Licensing Division included records from a man who in 2013 was approved for, and obtained, a license to carry a firearm at all times. Prior to his application, the man had been arrested for forgery, received about 10 moving violations and about three vehicle-related summonses, and had been the subject of at least four domestic violence complaints – including one in which he was accused of threatening to kill someone. The complaint seemed to indicate that there may be other charges or others who could be involved. It referenced one sergeant who worked at the Licensing Division for over a decade, and was very friendly with an unidentified commander who did not work in the licensing division but “spent considerable time” there with the sergeant. The commander allegedly brought Lichtenstein to the division and introduced him to the sergeant to strike up a relationship. According to the complaint, an officer who works at the Licensing Division said that from at least June 2015 to December 2015, Lichtenstein was at the division two times per week and would sit near the sergeant’s desk. No one answered the door late Monday at Lichtenstein’s family home in Pomona. Neighbors said they saw several FBI agents the over the weekend when Lichtenstein was taken into custody. In court, federal prosecutors said agents confiscated two guns from the home, and Lichtenstein had licenses for both. That brings the total number of officers reassigned or disciplined in the widening investigation to nine. The federal probe is looking into whether police officers accepted gifts from businessmen with ties to Mayor Bill de Blasio. Last week, Deputy Chief Andrew Capul was moved to an administrative position pending further review. Earlier this month, Bratton removed four of the NYPD’s most senior men, and two of them lost their guns and badges. A detective who took the Fifth Amendment before a grand jury also lost his gun and badge. The probe has centered on two businessmen who have ties to de Blasio’s campaign. Jeremy Reichberg and Jona Rechnitz both served on de Blasio’s inaugural committee and either donated or raised money for him. Mayor Bill de Blasio previously said he was not happy with the expanding number of people caught in the investigative web. “Those individuals – I’m not going to prejudge them; they deserve due process – but anyone who accepts personal gifts in the year 2016 is not paying attention to today’s ethics standards or the ethics training I’m sure they were given along the way, or didn’t have the wisdom to consult with a lawyer,” de Blasio said. De Blasio has also downplayed his relationship with Reichberg and Rechnitz. The mayor has said he has not accepted money from them for his re-election. CBS2’s Kramer reported that Barry Berke, the attorney who represented former NYPD Commissioner Bernard Kerik in his federal corruption case, is now representing Mayor de Blasio in the campaign fundraising investigation.